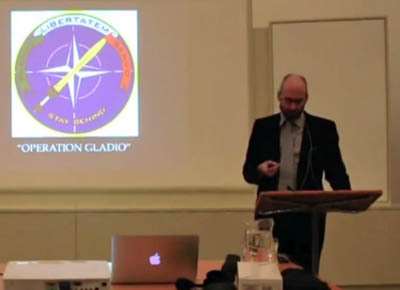 Free Planet has (obviously) taken its eye off the conspiracy ball in recent years, otherwise why miss this excellent (informative (horrific (gut-wrenching))) Gladio B and the Battle for Eurasia presentation by James Corbett of Corbett Report at the Studium Generale in Groningen NL on November 19, 2014. GLADIO B 2016: so, two years on, did Corbett's paranoid-conspiracy fears pan out? Why not take a look at this follow-up Corbett Report Special on the (just a few weeks ago) quickly-quashed Turkish military coup - Sibel Edmonds of Boiling Frogs Post and Spiro Skouras of Newsbud are guests.